The researchers chart these challenges to democracy — and introduce a potential new way forward — in their recently released book, “Politics With the People: Building a Directly Representative Democracy” (Cambridge University Press). According to the trio, a major contributor to the American people’s discontent is a lack of “meaningful avenues” for constituents to engage effectively with their representatives. “People tend to think of democracy in a very limited way — as voting, or making campaign contributions, or protesting,” Esterling said, emphasizing that as districts have grown in size, it’s become increasingly difficult for many elected officials to communicate directly and candidly with their constituents. The researchers tested their hypothesis by designing an online, webinar-style platform that mimicked the format of a more traditional town hall. 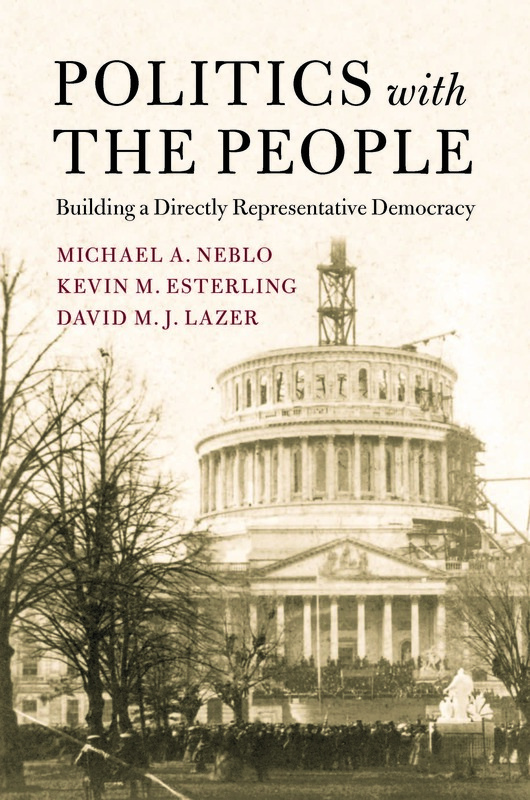 The town hall, Esterling explained, is a defining element of “deliberative democracy,” a system that sees dialogue — and the context in which it occurs — as central to legislative decision-making. With funding from the National Science Foundation’s Digital Government Program, Esterling, Neblo, and Lazer kicked off their first series of 19 online town halls in 2006, inviting members of the House from 12 congressional districts to discuss a controversial domestic policy issue — immigration reform — with their constituents. Participants were recruited randomly, with about 35 percent of those contacted agreeing to attend a session. Prior to each session’s start, participants were given high-quality informational materials about the topic to be discussed. To ensure the materials remained politically neutral, the researchers summarized writings from the Congressional Research Service, which produces unbiased, factual reports for all members of Congress. 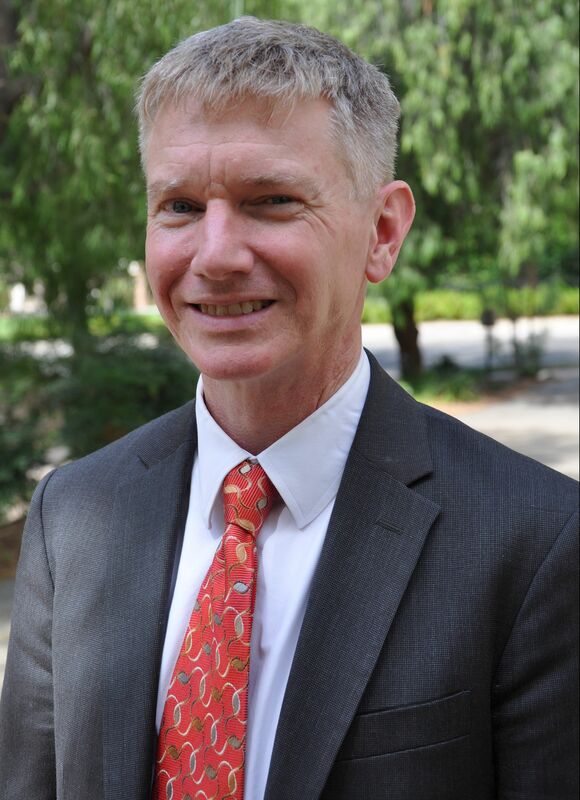 Esterling described the study’s findings as pleasantly surprising. First, and perhaps most importantly, participants who showed up for the online sessions represented a broader — and more accurate — cross-section of eligible voters than actual voters. “The people who are less likely to participate in standard politics — such as voting or making campaign contributions — were the ones who were equally or even more likely to participate in our deliberative town halls,” the researchers said, adding the sessions were particularly attractive to younger and lower-income participants, nonpartisans, racial minorities, and women. Second, the constituents who participated in the sessions gained more knowledge than those constituents who were randomly assigned to a comparison group and didn’t participate in a town hall. As for one of the more shocking discoveries? Out of the nearly 2,000 comments the researchers processed throughout the series, none had to be filtered out due to incivility. The researchers’ results also survived scaling up; in 2008, they retested the model, this time inviting a larger pool of constituents to discuss detainee policy. In both cases, 97 percent of participants said they would be interested in doing another session. Moreover, in surveys conducted four months after the sessions, participants from both parties reported being more likely to vote and more likely to vote for officials who they felt had engaged them substantively. The researchers’ hope, he added, is that if constituents were given the tools to provide higher-quality input on legislative and policy issues, elected officials would be more likely to make better use of it. Later this month, meanwhile, Esterling, Neblo, and Lazer will travel to Silicon Valley to meet with executives at tech companies including Google and Facebook. Their goal is to determine if an opportunity exists to collaborate on the development of a platform or app for hosting similar town halls in the future. Esterling said tech companies, many of which have come under fire for contributing to the spread of fake news and partisan polarization, would do well to partner with political scientists when considering new ways to safeguard the democratic process.